Tommie is still not speaking to her mother after the argument that occurred when she got out of jail. Instead she has decided to change the class of people that she hangs out with. She contacts Tammy and the two decide to go to an event that Arianne is having. 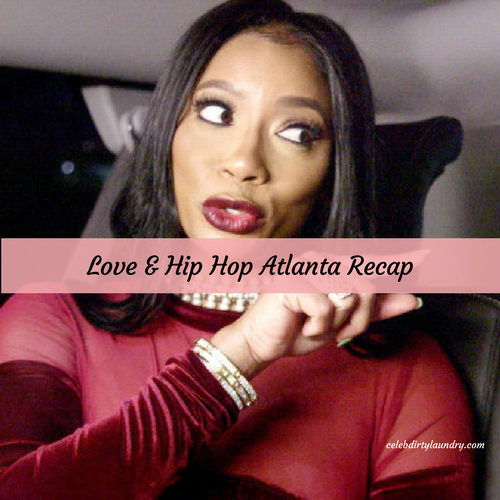 When they arrive everyone is shocked to see them together including Mimi, who hasn’t seen Tommie since she ruined her ex- girlfriend Chris’ birthday party last year, and Karlie who has had no contact with Tommie since their issues over Karlie’s dealings with Scrapp before he went to jail. Melissa closes down her bar so that Mimi and Rodney can have a private meeting about the situation with Kirk. The meetiing starts off with a bit of back and forth and name calling between the two exes before they get down to business. Rod tells her “I know there is a baby because I see the baby every day.” Mimi says “Has there been a DNA test?” Rod tells her “No, not yet, but there will be because Kirk is denying the baby.” Rod then brings in Jasmine and Tianne to tell their tales of affairs with Kirk. The meeting breaks down as insults are hurled and finally Melissa throws Rod, Jasmine and Tianne out of her bar. Tommie and Jessica get ready to head out on their double date. Jessica has decided to bring her new girlfriend who is Fetty Wop’s ex- girlfriend. When Tommie shows up Jessica is shocked to see that she is accompanied by Young Joc.